The Kinks are recognised as one of the most important and influential British rock groups of all time. From their explosive beginnings as part of the British Beat movement to forays into concept albums, stadium rock, and acoustic balladeering, The Kinks have left an unimpeachable legacy of classic songs, many of which form the building blocks of popular music as we know it today. Hailing from Muswell Hill in North London, The Kinks were formed by brothers Ray and Dave Davies. Calling themselves The Ravens, an early line-up saw them playing a combination of R&B and rock and roll with friend Peter Quaife on bass. A self-produced demo tape reached record producer Shel Talmy, who helped the band land a contract with Pye Records in 1964. 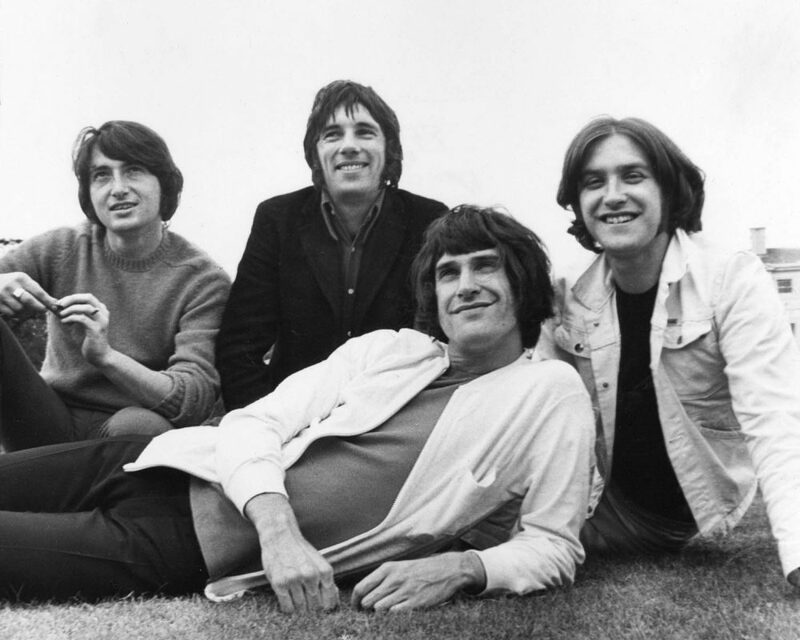 Before signing, the group replaced their drummer with Mick Avory and renamed themselves The Kinks. With the classic line-up in place, music history was about to be written when the group’s third single, You Really Got Me, stormed to the top of the UK charts. Written by Ray in their parents’ front room and fueled by Dave’s aggressive, outrageous guitar sound, the song has since been cited as the inspiration for garage rock, punk, heavy metal and by contemporaries, The Who. 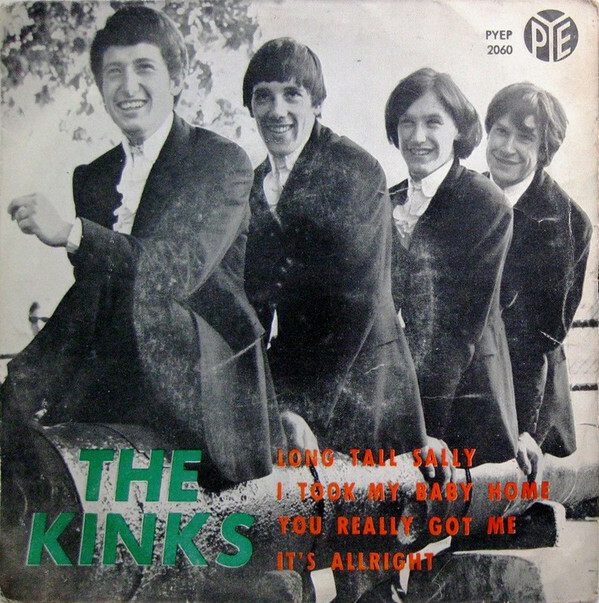 An album, The Kinks, was hastily assembled in the aftermath of the massive hit and was, in turn, swiftly followed by a second Top 10 single, All Day and All Of the Night. With the classic line-up in place, music history was about to be written when the group’s third single, You Really Got Me, stormed to the top of the UK charts. 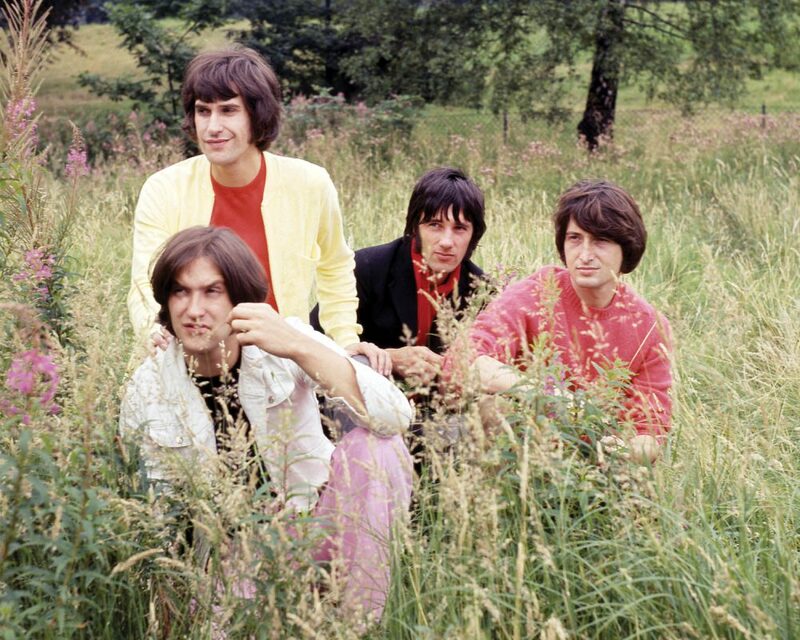 Between 1965-1967, The Kinks enjoyed their first commercial peak, scoring nine British and seven US chart hits. 1965′s Tired Of Waiting For You displayed Ray’s world-wary vocal style while Dave came up with a then-innovatory Indian-style drone guitar on See My Friends. As Ray’s songwriting developed, he emerged as a witty, compassionate social commentator, chronicling the absurdities and aspirations of English life. He took stabs at fashion victims with Dedicated Follower Of Fashion and upper-class hedonists on Sunny Afternoon. He even created a hymn to the Thames on the peerless Waterloo Sunset, which has evolved into something of a British anthem: an introvert’s love letter to that “dirty old river” and London itself. Despite the Kinks’ commercial success at home, an unresolved dispute with the American Federation of Musicians during a 1965 tour led to a ban on US appearances which lasted until 1969. So, with most UK bands looking to America’s burgeoning flower power revolution for inspiration, Ray looked no further than his back garden for inspiration. The songs on albums Face To Face and Something Else are filled with small gems detailing life around him – sometimes comical, sometimes cynical, always clever and melodic. In 1967, Dave Davies stepped into the spotlight as a solo artist for his hit Death Of A Clown, one of the very few songs co-written by Dave and Ray. Dave released three other singles over the next two years, all high- quality work which did not end up reaching the chart success of Death Of A Clown, and a solo album effort was canceled. Perhaps the finest of this period was the band’s 1968 album, The Kinks Are The Village Green Preservation Society. On the album Ray developed the major themes of his work, in praise of the traditions of a near-mythical England lost among modernity. The album was overlooked by the British record-buying public and one of the Kinks’ most artistically successful albums slipped away. Fortunately, subsequent years have seen it grow in stature and it’s now recognised as one of the most important British albums ever released. After its release and in the first change to the original band lineup, Pete Quaife left to pursue other musical ventures in 1969, replaced by bassist John Dalton. The loftily-named follow up, Arthur (Or The Decline and Fall of the British Empire), addressed similar themes, portraying an English family looking back over their experiences before emigrating to Australia with vignettes exploring war, the class system, and national and personal identity, featuring the oft-covered Victoria. The mood lightened a little with the monster 1970 gender-bending hit single Lola, the centerpiece of that year’s Lola Vs. Powerman And The Moneygoround, a trip through the highs and lows of the music business. 1971′s Muswell Hillbillies album echoed Village Green’s collection of storybook vignettes and the single Supersonic Rocketship from the rollicking, brass- enhanced Everybody’s In Showbiz went Top 20 in 1972. The sentimental Celluloid Heroes from the same album became a live favourite, and an AOR radio staple. The remainder of the 1970s found our heroes tackling a dazzling array of real-life themes and situations ranging from political structures and corruption, pop culture and delusion, and the UK educational system with the band’s four concept albums: Preservation Act 1, Preservation Act 2, Soap Opera, and Schoolboys in Disgrace. Their sizeable following in the US, gained from constant touring after the union ban was lifted, brought them commercial rewards and, in 1977, a Top 30 album in the form of Sleepwalker, and Top 40 for 1978’s Misfits. For many years The Kinks had been receiving reverential nods from the rock fraternity, all of which increased their cachet with wave after wave of new bands and musicians. In 1978, The Jam had covered David Watts while The Pretenders had their first UK hit with a version of Stop Your Sobbing, and Van Halen jumpstarted their career with a hard rock take on You Really Got Me. Biggest of all was Kirsty McColl’s breathtaking take on Days. In 1979, the band released the hard rock Low Budget album and became belated rock stars in America, gaining entry into the stadium rock circuit, and selling out Madison Square Garden. In 1980, Dave Davies released a well-received self-titled album, and made a solo appearance on the long-running TV show, American Bandstand, followed by his albums Glamour and Chosen People. Americans also bought up Kinks albums Give The People What they Want in 1981 in droves, which featured the hit singles Better Things and Destroyer. In 1983, The Kinks found themselves back in the UK charts with Come Dancing, which remains the band’s highest charting single in America, from the album State of Confusion. 1984’s Word of Mouth LP featured Do It Again and Living On A Thin Line, which were in high rotation on American rock radio stations. In his highly-limited time off from world touring, Ray stepped outside his work with the Kinks to collaborate on musicals Chorus Girls and Around The World In 80 Days. In 1985, original drummer Mick Avory left the band and was replaced by Bob Henrit. That same year, Ray Davies released his first solo album, Return To Waterloo, a soundtrack to an innovative musical film he wrote and directed for British television. In 1990, all four members of the original Kinks lineup – Davies, Davies, Quaife, and Avory — were inducted into the prestigious American Rock n’ Roll Hall of Fame. Through the 90s, The Kinks garnered a whole new generation of fans as yet another wave of musicians paid tribute to the band. Blur’s Damon Albarn in particular acknowledged Davies as a key influence, as did Noel and Liam Gallagher from Oasis, with Ray Davies garnering the fond title, “Godfather of Britpop.” 2005 saw the Kinks’ entry into the UK Music Hall of Fame. With the Kinks on hiatus since 1996, Ray and Dave Davies continued to record and tour behind their own acclaimed solo albums. In the mid/late 1990s and early 2000s, Dave treated fans to a flurry of activity with soundtrack work for director John Carpenter, a first musical collaboration with son Russ Davies, the retrospective Unfinished Business: Dave Davies Kronicles 1963-1998, a wild autobiography, Kink, his first album of all-new music in almost 20 years, Bug, and three live albums compilated from his US solo tours. Sadly, a debilitating major stroke in 2004 forced Dave to focus solely on regaining his health. Through determination and therapy, by 2007 Dave was well enough to record and release the album Fractured Mindz, and was ready to tour again in 2013 in support of his album, I Will Be Me. He continues to record and tour in 2018, most recently releasing Open Road in 2017, another collaboration with son Russ which has received glowing reviews. Peter Quaife, who had been receiving kidney dialysis for more than ten years, died on 23rd June 2010. Ray Davies dedicated his emotional June 27th performance at the Glastonbury festival to his honour, telling the crowd, “I wouldn’t be here today if it wasn’t for him.” Pete’s brother David posthumously released Pete’s semi-autobiographical novel, Veritas, in 2011. Ray Davies pioneered the incredibly-popular acoustic/spoken-word Storyteller show concept for music channel VH1, in tandem with his 1994 book X-Ray, his “unauthorized autobiography” written in an unusual, third-person style, and toured extensively over the next several years to rapt audiences thrilled to see him in intimate venues. However, 2004 was also a cruel year for him, as he suffered a serious gunshot wound to the leg in New Orleans chasing down a mugger who had stolen his partner’s purse. His recovery from this event has since informed his work in a deeper, more personal look into the meaning of his life and career, as well as a broader view of American culture in his books Waterloo Sunset and Americana: The Kinks, The Riff, The Road, The Story, and albums Other People’s Lives (2006), Working Man’s Café (2007), and musical book companion LPs Americana (2017), and Our Country: Americana Act II (2018). In addition to his solo albums and books, Ray continued to expand his work into musical theater with an autobiographical bent with 2008’s Come Dancing at the Theatre Royal Stratford East, and the critical smash Sunny Afternoon in 2014, garnering him an Olivier Award for Outstanding Achievement In Music. He has worked extensively with the Crouch End Festival Chorus, recording The Kinks Choral Collection in 2009, and performing The Kinks’ Village Green Preservation Society album with them and the London Philharmonic in 2011 for that year’s Meltdown Festival, which he curated. In the considerable amount of honors and awards he has received, two stand out: Ray Davies’ 2004 CBE from Queen Elizabeth II, and his 2017 knighthood. This recognition from his country, surely unimaginable when Ray and Dave began performing songs at their local pub as teenagers in the early 1960s, speaks to the profound cultural change that Davies and his peers helped bring about through their music. “The Kinks Are The Village Green Preservation Society” stands as one of the most-admired albums in rock music history, years after it sold nothing and seemingly made little impact on late 60s fans. When all of their musical peers were shouting about revolution and fighting in the street, the Kinks understood the value of the small, singular voice, and had the nerve and stubbornness to be themselves in a musical arena which encouraged copying ideas and styles and trends from others to keep your profile high and bank account full. “The Kinks Are The Village Green Preservation Society” is The Kinks. Fifteen little songs — “The Village Green Preservation Society,” “Do You Remember Walter?” “Picture Book,” “Johnny Thunder,” “Last of the Steam-powered Trains,” “Big Sky,” “Sitting by the Riverside,” “Animal Farm,” “Village Green,” “Starstruck,” “Phenomenal Cat,” “All of My Friends Were There,” “Wicked Annabella,” “Monica,” “People Take Pictures of Each Other” – each one filled with rich characters, strong wistful visuals drawn of a green and pleasant land that to Ray Davies seemed to be slipping away, fast. It was so simply literary that it felt like an extension of “Alice In Wonderland” or “The Story Of Ferdinand” or one of Hans Christian Andersen’s tales – that sadness and confusion about the world wrapped in some kind of hopefulness. No drama, no grandness, no apologies, no pretense, every single song compelling and sweet and strange. You don’t forget them. “The Kinks Are The Village Green Preservation Society” receives its full due at last, in a comprehensive 50th Anniversary album release from BMG, coming soon.